Chocoholics, here's your ammo for the season: Cocoa can help keep your memory strong. Italian researchers credit flavonols--the chemicals that make dark chocolate good for your heart--with improving how the body processes glucose, which could help the brain work more efficiently. Chocoholics, here's your ammo for the season: Cocoa can help keep your memory strong. Italian researchers credit flavonols--the chemicals that make dark chocolate good for your heart--with improving how the body processes glucose, which could help the brain work more efficiently. 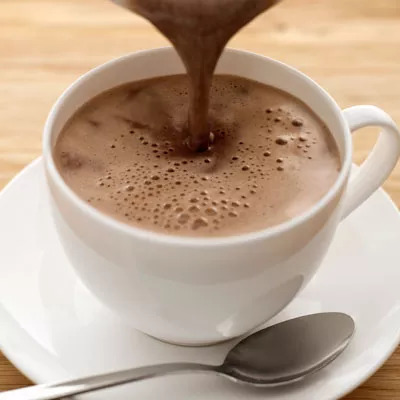 For a mug with nearly half the calories of the usual but high in brain-boosting compounds, try this 120-calorie hot chocolate recipe from Dallas nutritionist Lauren Talbot, RN. Heat 1 cup low-fat milk or unsweetened almond milk until boiling; remove from heat. Whisk in 2 TBSP unsweetened cocoa powder or raw cacao powder and 1 packet calorie-free sweetener. Enjoy! Which Light Hot Chocolate Is Best?